Times are changing; when once condo owners wanted cool cafes and bars nearby, now the thrifty Canadian homeowner wants to be able to pick up groceries without too much of a journey. Developers in Calgary are keen for more grocery stores to be built, not giant stores with huge parking lots but smaller stores tailored towards the local residents who will typically arrive on foot. Experts say that although these stores are not as cheap as their larger cousins, people are willing to pay a bit more for quality and convenience. While a trendy bar or coffee shop is nice once in a while, for today’s condo owner it’s far more important to be able to pick up some fresh food in the neighbourhood. The Seville in Montreal has Adonis, the 1250 Greene in Westmount has an upscale Metro grocer and there is a highend condo building in Saratoga Springs,NY that has a Price Chopper... This is definitely a current and winning trend. 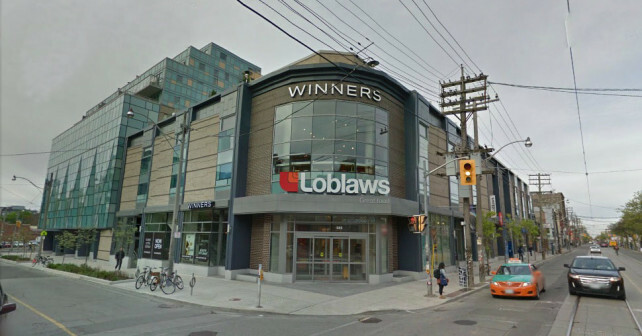 Big oportunities for boutique grocers in many Montreal Condo projects: Lowney in Griffen Town, Arrondisement 21 in Old Montreal, Rouge Condominiums on Victoria and Jean Talon to name a few..... Look for condo projects with multiple phases. There is also a demand for bistros that cter to the take out crowds that buy their pre cooked meals a week at a time ! These are exciting times for condo owners in Montreal and i imagine across this great land called Canada. Big oportunities for boutique grocers in many Montreal Condo projects: Lowney in Griffen Town, Arrondisement 21 in Old Montreal, Rouge Condominiums on Victoria and Jean Talon to name a few..... Look for condo projects with multiple phases. There is also a demand for bistros that cater to the take out crowds that buy their pre cooked meals a week at a time ! These are exciting times for condo owners in Montreal and i imagine across this great land called Canada.